The Russian nuclear submarine Yuri Dolgoruky test-fires the Bulava missiles from the White Sea on Tuesday, May 22, 2018, according to its official state defense ministry web site. Can the relationship be salvaged, and should it be? Policy expert Joe Cirincione, who visited the WESA studios during a trip to Pittsburgh with the World Affairs Council, says yes -- unquestionably. 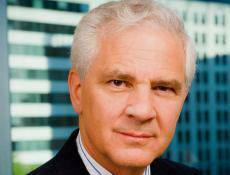 Expert and author Joe Cirincione is president of the Ploughshares Fund, a global security foundation. He has worked in nuclear weapons policy for 35 years. Severing the Cold War-era treaty only compounds the global reprecussions still lingering since May, he says, and does nothing to quell concerns about potential conflict with North Korea. Cirincione says a war with Iran would be awful, but likely conventional, because they don't have nuclear weapons. North Korea's 20- to 30-missile arsenal could be devastating, but limited. Russia has 6,000 nuclear weapons. "It takes about 300 weapons to destroy human civilization, so you realize the massive overkill capability Russia and the United States have," he says. "That's why there has been such concern about bringing these arsenals down." Later in the show, costs for special education in Pennsylvania are rising faster than state aid, leaving most of the burden to taxpayers and school districts, according to a new study by the Education Law Center and PA Schools Work advocacy group. Researchers found that for every dollar spent by Harrisburg between 2008 and 2016, school districts spent $20. Keystone Crossroad’s Avi Wolfman-Arent reports on how this trend has affected schools, many of which are already strapped for cash. La Escuelita Arcoiris, a Spanish language immersion preschool in Squirrel Hill, holds an annual Dia De Los Muertos celebration for students and the community. The holiday honors the lives of those who've died and is full of food, art and creative expression. Although Pennsylvania has a small share of the global population, it is an energy powerhouse that is both historically — and currently — a major source of harmful emissions. But a sense of urgency on climate change doesn’t show up in the Pennsylvania gubernatorial race. StateImpact Pennsylvania's Marie Cusick has more. Students in Pittsburgh's magnet schools have some of the longest commutes in the Pittsburgh Public Schools district, but a lot of parents think it's worth the trip. 90.5 WESA's Margaret J. Krauss explores why for the Dividing Lines education series. 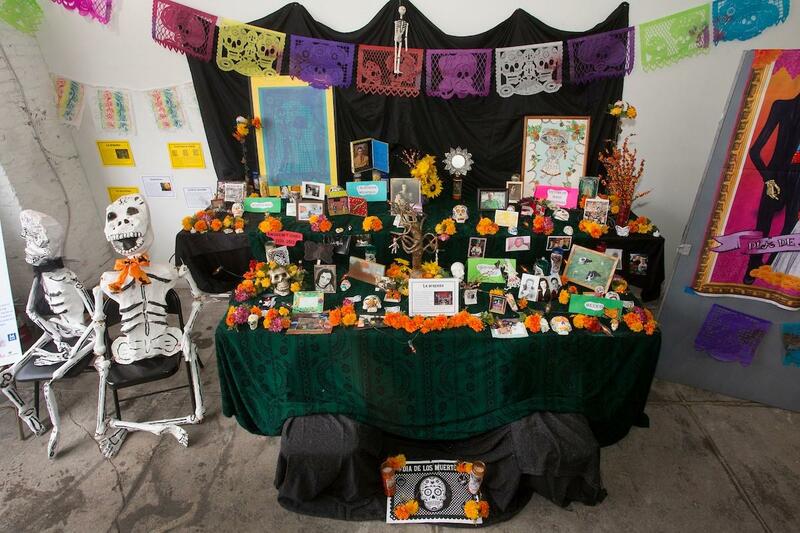 And La Escuelita Arcoiris is hosting their 19th annual Día de los Muertos celebration The Mexican Day of the Dead celebration has grown increasingly popular in the United States, and was the subject of the popular Disney-Pixar film, "Coco." Laura Coyt Zavala and Ellen Tafel of La Escuelita Arcoiris, a Spanish-immersion preschool, say their celebration Sunday will include food trucks, traditional sugar-skull painting and alters dedicated to lost loved ones. The official portrait of former Pennsylvania Gov. Tom Corbett is about to be unveiled and will hang inside the governor's office in the Capitol. The 69-year-old former governor posed in Prescott's Mechanicsburg studio in the summer of 2017 for a set of photos that were used to create the painting. Though most Pennsylvania politicians up for reelection have their sights set on November 6th, some state House lawmakers are already thinking about the weeks that’ll come after. Two top Democrats and a top Republican are leaving the House—and that means their seats are fair game for representatives who want to take on more control.